1976 Kells 23′ daysailer for sale. Good solid fiberglass hull and deck. Fixed torpedo keel with 900 lb. cement ballast. 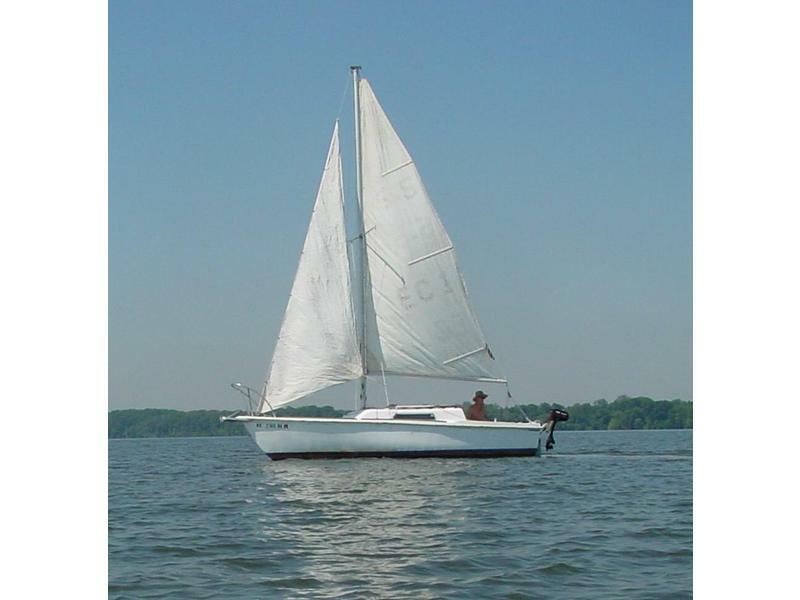 Mast 23′, Boom 9’8″, Beam 6’4″, draft 18″, freeboard 19″ at stern. Higher at bow. Weight; 2000lbs. Great sailer. Does not leak. sleeps four. email me for more info……. One main and two jibs in good condition. Mainsail cover. Two anchors. Galley sink. Table. New aluminum rudder w/tiller. 12 volt Battery w/box and tie-down, Outboard engine mounting bracket, All necessary block and tackle included, boarding ladder, lfour life jackets (type 3), 2 float cushions, fire extingisher, V-berth cushions, and Clear Title.